The Visual Computing Lab of CERTH-ITI, participated in the IEEE International Conference on Computer Vision (ICCV) 2017, held between 22-29 October, in Venice, Italy. 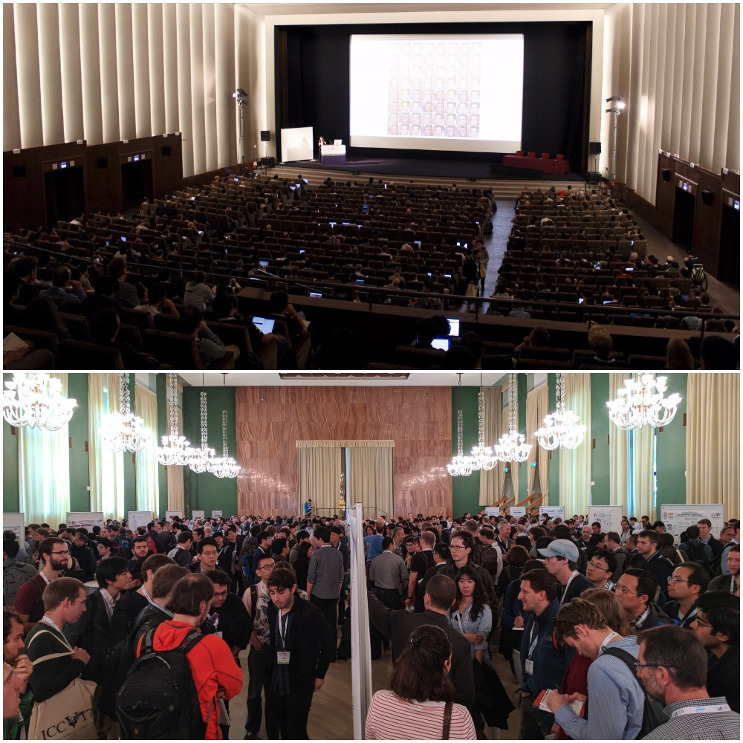 The conference, being the major international computer vision event, had an exciting programme of 621 papers, presenting the latest advances in the field. This year, the attendance of ICCV increased by 113%, having 3107 attendees! Our presented work was a poster paper, entitled “Non-linear Convolution Filters for CNN-based Learning”, by G. Zoumpourlis, A. Doumanoglou, N. Vretos and P. Daras. Considering the subtopic details of the submitted works, our paper was the only one to be accepted, having “Biologically inspired vision” as its subtopic!